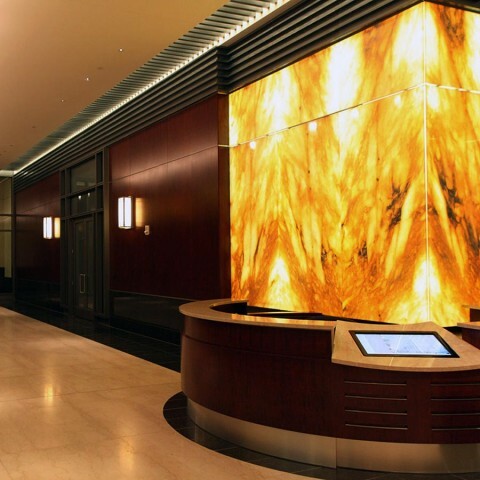 Gracing the lobby of the One Lakes Edge luxury apartment complex is a backlit honey onyx feature wall. Standing 20 feet tall and consisting of mitered corners, the illuminated stone panels command attention as the anchor of the lobby space. The wall was designed, engineered, fabricated, and installed by the GPI Design team.